2nd graders made painted paper and scratched texture into it. 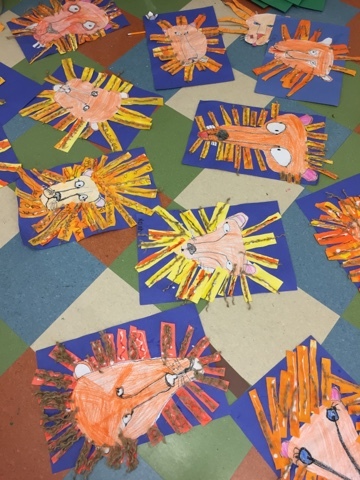 Then they cut out strips and added string to provide some actual texture to their pictures. 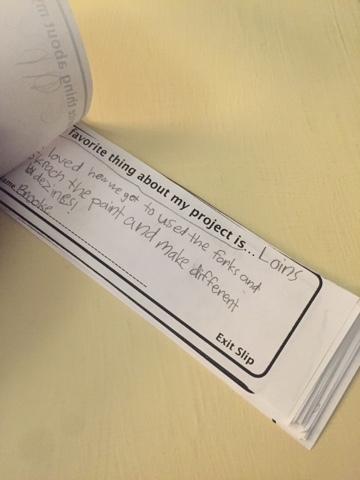 We used exit slips to reflect on our favorite parts of the project.